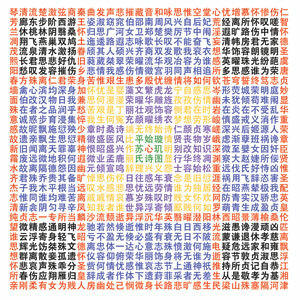 I ran into a post on Reddit recently which brought attention to a poem which was created by Su Hui (苏蕙), a 4th century Chinese poet who became famous for creating a palindrome poem called Xuanjitu (璇玑图). 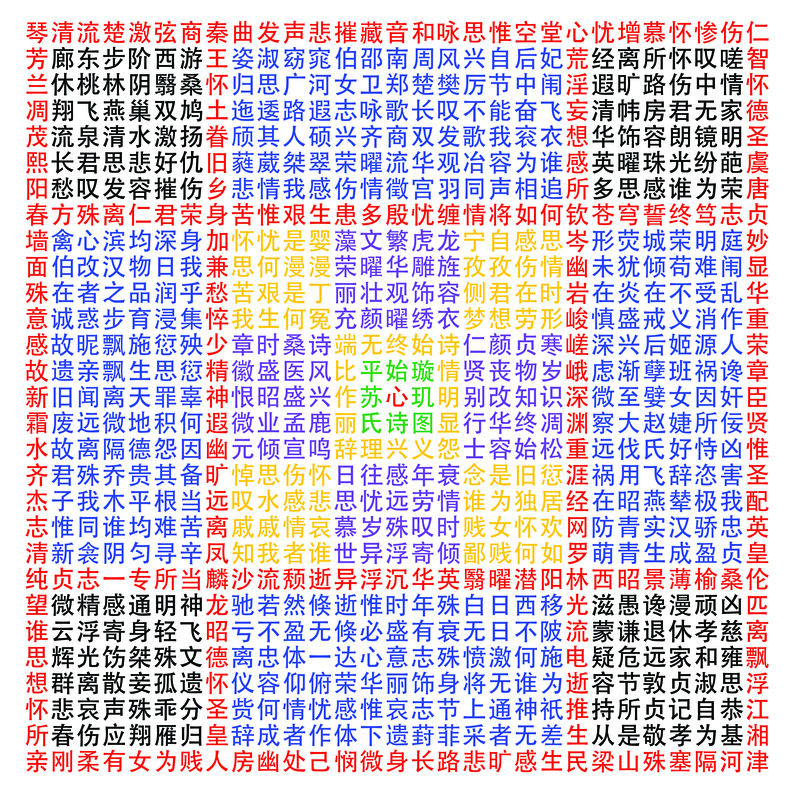 Incredibly, it is a 29×29 character grid which can be read forward, backwards, horizontally, vertically, and diagonally. The combination of these different arrangements makes for an astounding 2,849 different readings of the same poem. 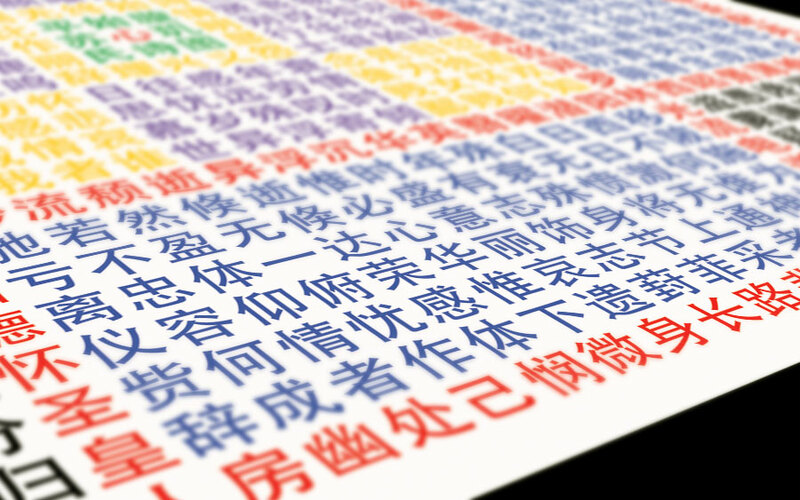 It’s like sudoku times 1,000 in Chinese poem form. I’ve read and enjoyed a limited amount of poetry in Chinese, but much of it is inaccessible to non-native Chinese speakers due to the cryptic way in which it’s written. It’s like a non-native English speaker reading Shakespeare — it’s not easy, to say the least. One concession is that in this case I’ve opted for the simplified Chinese version which is dramatically easier on my classical Chinese skills than the significantly more complex traditional version. I saw the Wikipedia entry for the poem and my first thought was that it would make a really cool poster. So I made it into one by creating a high resolution version in Photoshop that’s color coded for easier reading. I will put this on my wall and try to read it as many ways as possible. You can download the 12mb copy which I made below for free, in JPG format. It’s print ready at 300dpi and the dimensions are 24 x 24 inches. This is a 24mb JPG file – I wouldn’t try to open it in your browser. Right click the button below and save the image to your hard drive.